Finance career development loans and grants are an excellent way to gain funding for professional qualifications. Career development loans can help you if you need professional qualifications to further your career but do not have the immediate funds to pay for them. However, there are stipulations that must be met before funding will be given and these should be discussed with the relevant lenders. 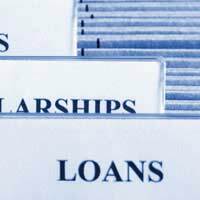 What are Career Development Loans? Career development loans (CDL) are offered by a few commercial banks for those who are considering some form of training or study towards gaining professional qualifications. The main difference with a CDL as opposed to business loans or personal loans is that the Learning and Skills Council (LSC) will pay the interest on the loan. The LSC will only pay the interest during study time, and then for one month after the course is completed. Career development loans can range from between £300 and £8,000, and borrowers do not have to start repayments until one month after the learning course has been completed. On the whole a CDL is a good option for those who are employed, self-employed, or unemployed, and want to study towards a vocational qualification. This is one of the stipulations; the course must be vocational and must help you to gain skills and qualifications that will further a career or help start one. Another stipulation of a career development loan is that you must be unable to actually provide the funding for the course yourself. You must also not be in receipt of any other grants such as student bursaries or employment related learning grants. There are a number of lenders that will offer loans towards vocational study courses. However, there are only three actual banks that run career development loans in conjunction with the Learning and Skills Council. These banks are Barclays, Royal Bank of Scotland and the Co-op. Those who are interested in applying for this type of vocational funding should contact the banks directly or read more information on the banks’ websites. There are a few other options to consider if you cannot afford to pay for your vocational studies. Employers may be able to pay for your studies directly or obtain learning grants to pay for training and courses. Those who have their own business should consider taking out small business loans. If vocational qualifications will help to enhance your business skills then low interest, small business loans may be a good option. Developing your business skills and professional qualifications will always be beneficial when taking the long term career view. There are a number of bursaries and grants available from charities and government run organisations. Many of these grants are unclaimed every year, so if you are considering some form of vocational study and cannot afford the funding it may be worthwhile researching these options. Information can be found through the Research Council website. You can also contact learning institutes directly to find out if you are eligible for any grants that will help develop your career. Gaining vocational qualifications is always a worthwhile move especially where career progression is concerned. The finance world is continually developing, and new and up to date skills are always in demand by employers. Thoroughly researching all of your loan options will be the best way to fund your learning, and comparing annual percentage interest rates on loans should save you a lot of money in the long run.